Since 2008, Bring It Back to Normal (BIBTN) has provided opportunities for large groups of students to give back to the community that is home to Illinois State University. Throughout its history, Bring It Back to Normal has placed nearly 1,500 volunteers, who have completed over 4,000 hours of service. As volunteers, students have the opportunity to work with local residents and non-profit agencies to help meet the needs of the community. 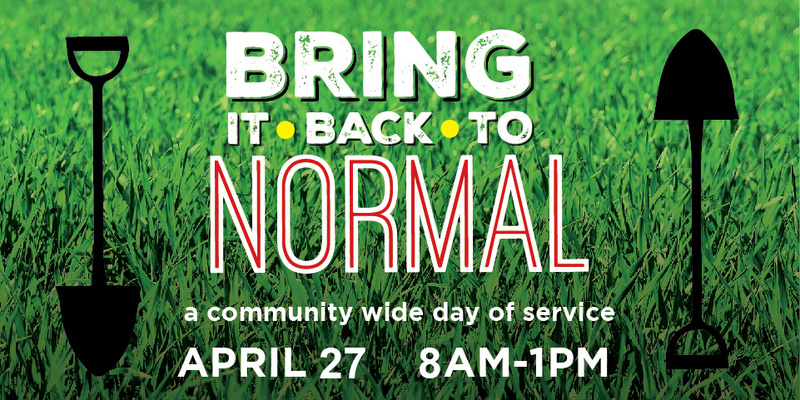 Even though it is a one-day event, Bring It Back to Normal is a great way to get involved and makes a huge difference to the people of Normal (and Bloomington).